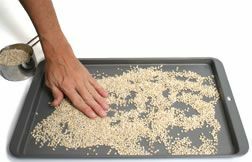 Preparation of whole grains before cooking is fairly simple: most require only washing or soaking before they can be cooked. Some grains are best when they are lightly toasted, which reduces the required cooking time and enhances the flavor of the grain. It is usually advisable to rinse whole grains before cooking in order to clean the grain and to remove any debris that may be present. 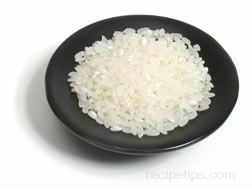 Rice, for example, is often rinsed before cooking, but there are some instances when this is not necessary. Some of the points to consider before rinsing rice include the type of rice, the country of origin, the type of processing that was used, and the cooking method. Imported rice harvested by hand should be rinsed to remove any random particles that may be present. 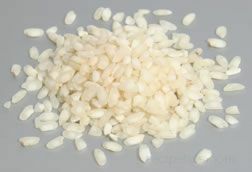 Some types of rice that are high in starch content, such as Asian rice varieties, can be rinsed to remove some of the stickiness of the rice. Asian cooks often rinse rice several times, not because they are overly fearful of contaminants in the rice, but because the extra rinsing is an important step in producing perfectly cooked rice. 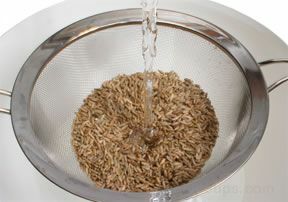 The repeated rinsing allows the rice to be cooked in a smaller quantity of water, which produces excellent results. Rinsing rice several times (especially varieties that do not require rinsing) can also reduce the nutritional value of the rice. White rice that is processed and packaged for sale in food stores is thoroughly cleaned before packaging, and it is often enriched with vitamins and minerals after rinsing. This practice is especially true for white rice varieties that are processed and sold in the United States. 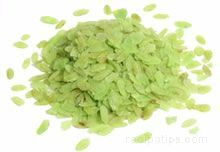 Nutrients are sprayed on the rice because the removal of the bran and germ during processing eliminates many of the nutrients. The spray-on coating of vitamins and minerals is water-soluble, so excessive rinsing removes most of these nutrients. 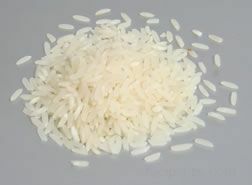 If the nutritional value of white rice is of importance, it is best not to wash it prior to cooking. 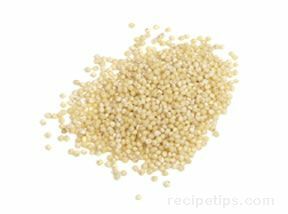 Rinsing and cleaning are especially important when preparing quinoa. 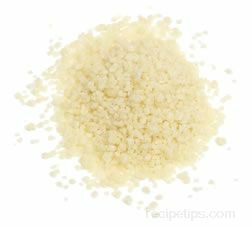 A powdery resin, known as saponin, covers quinoa seeds. The saponin must be rinsed off before the seeds can be used. 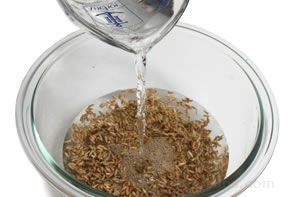 If the seeds are not rinsed properly, the resin will produce a bitter flavor that can be very unpleasant. 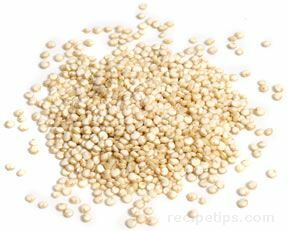 Quinoa sold in the United States (including imported quinoa) is washed and well processed, so the saponin usually is not an issue, but it is still a good idea to give the seeds a quick rinse before cooking. 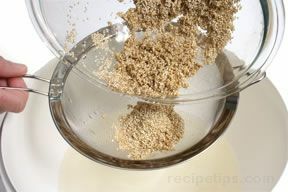 Unprocessed quinoa must be washed thoroughly before it is used. 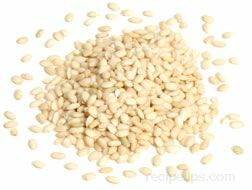 The seeds should be cleansed in a large bowl containing cold water. 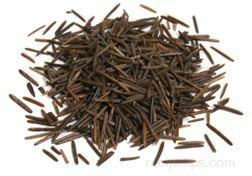 After pouring the seeds into the bowl of cold water, rub the seeds to loosen the saponin resin. 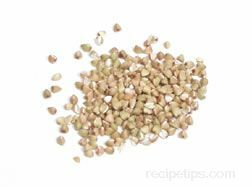 After several minutes of rubbing the seeds, strain the quinoa (the strainer should be made of a fine mesh because the seeds are so small). To finish the cleaning process, the strainer should be positioned under a cold water tap. Rinse the seeds under the running water until the water runs clear. Some grains are best if they are soaked before they are cooked, which helps to reduce the cooking time. 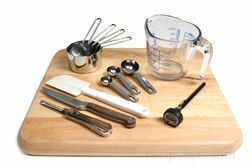 Without soaking, some grains would require too much time to cook to an acceptable consistency. 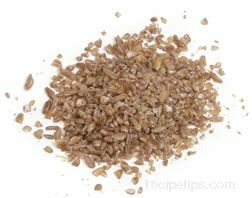 Rye grains, for example, should be soaked for several hours prior to cooking to achieve the best results. 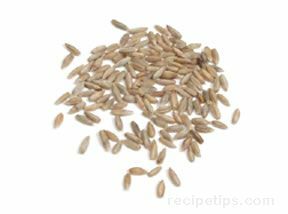 Barley, brown rice, and wild rice are also commonly soaked prior to cooking in order to tenderize the grain and reduce the required cooking time. 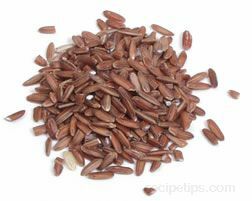 The rye grains should be rinsed briefly before soaking to remove any dirt or loose debris. 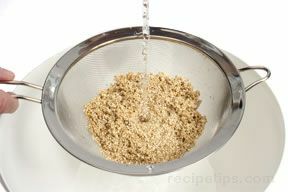 Use a strainer to rinse the grain under cold running water. 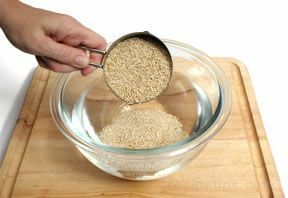 In a large bowl, pour cold water over the grain and allow it to soak for several hours. 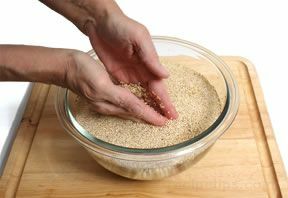 Because nutrients may leach out of the grain because of the lengthy soaking time, consider cooking the grain in the soaking water to preserve some of the nutrients. Before grains are cooked, it is often beneficial to toast them first. The toasting gives the grain a head start on the cooking process, which often reduces the required cooking time when the grain is boiled, steamed, or baked after toasting. In addition, a quick toasting of the grain adds a wonderful flavor to the final dish. Most grains can be toasted on the stovetop or in the oven. 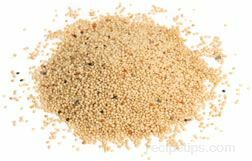 Millet is a grain that benefits from toasting before it is cooked with other methods. 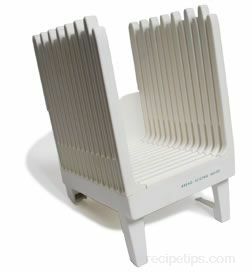 It easily toasted if a small quantity is placed evenly in a heavy-bottomed pan and heated for about 5 minutes. 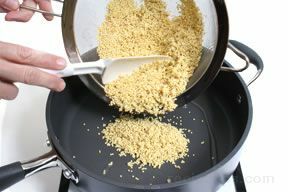 No oil or grease is necessary, but if you wish, a small quantity of cooking oil or butter can be added to the pan to ensure that the grain will not stick while it is being toasted. 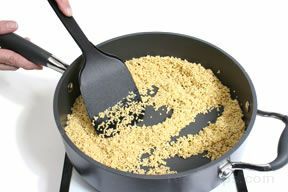 The millet grain should be tossed and shaken in the pan to prevent it from burning, especially if no oil or butter was used. 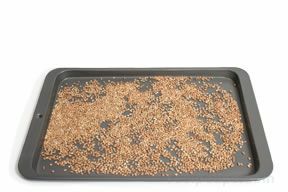 Oven toasting is another easy method for toasting grain. 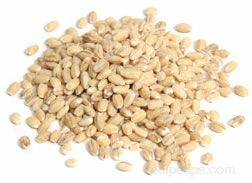 Barley, for example, can be lightly toasted in the oven before it is added to soups and other dishes. 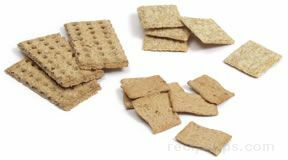 To toast barley, simply spread the barley grains evenly on a baking sheet and toast for about 10 minutes in a 350ºF oven. 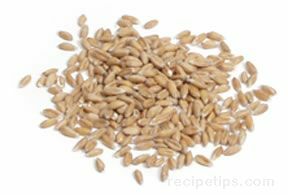 The toasted barley provides a rich, nutty flavor to soups, stews, casseroles, and salads or it can be cooked in hot liquid after toasting and enjoyed as a side dish.